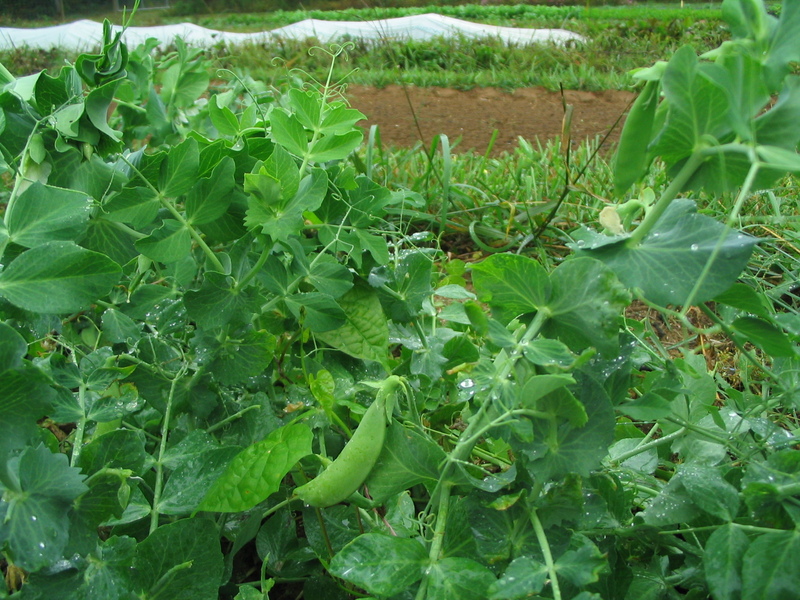 The sugar snap peas are coming in! 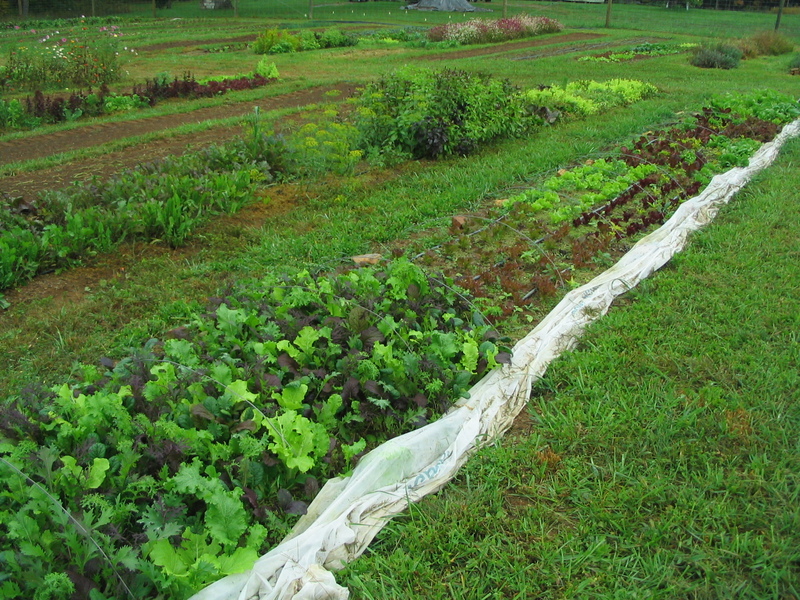 Our fall planting isn’t nearly as vigorous and prolific as the spring plantings were. We didn’t know what to expect since we’ve never grown them in the fall. I think it was hard for them to get started in the extreme heat of summer. They are perking up now though as it gets cooler. 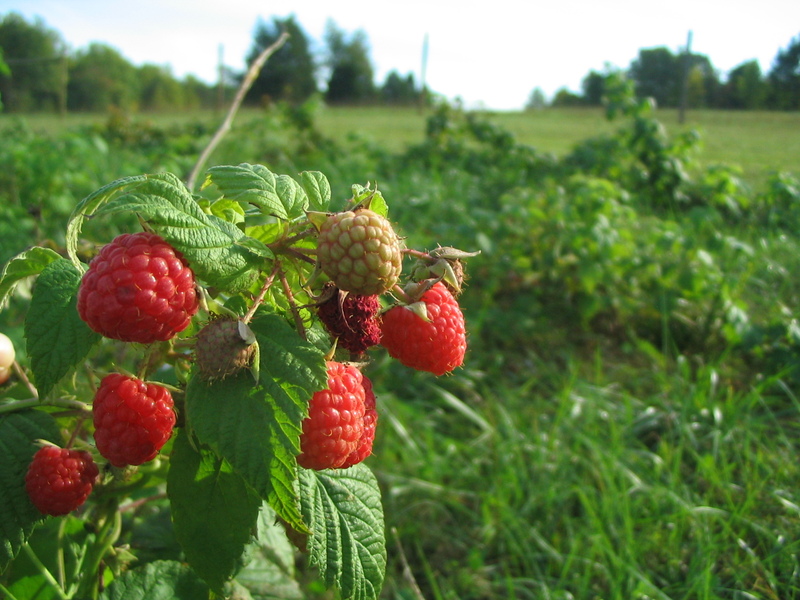 The raspberries are also bearing now. Not enough volume to take to market, just enough for us to enjoy. We have three different varieties and it is interesting to see how each has its own characteristics. My favorite variety for flavor is Autumn Britten. The pictured variety is Polka. Polka grows very upright, and almost doesn’t need a trellis. Joan J and Autumn Britten definitely need a trellis. I am not sold on the Joan J variety yet, even though it is thornless. I don’t mind the thorns as long as the berries are superior in flavor and size. 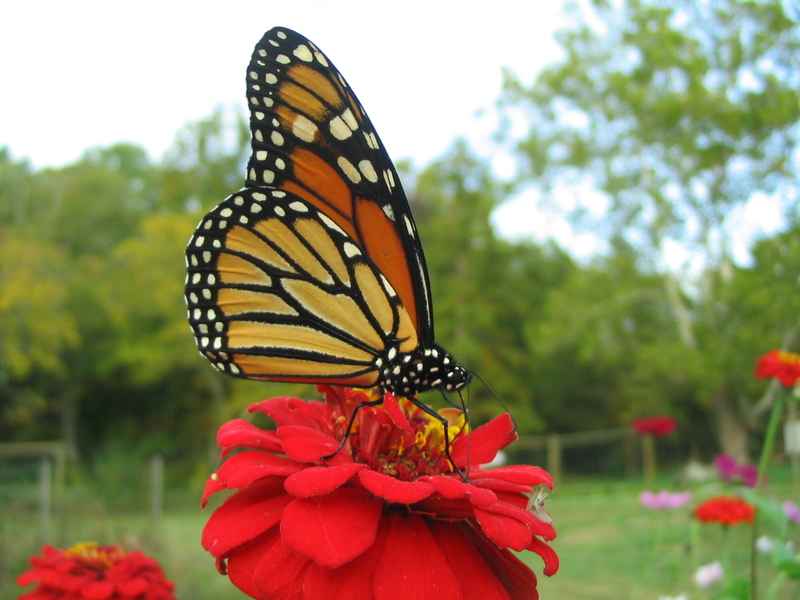 Yesterday we had a monarch visit on its way down south. It preferred the red zinnias, and didn’t seem to mind having its picture taken (a lot). 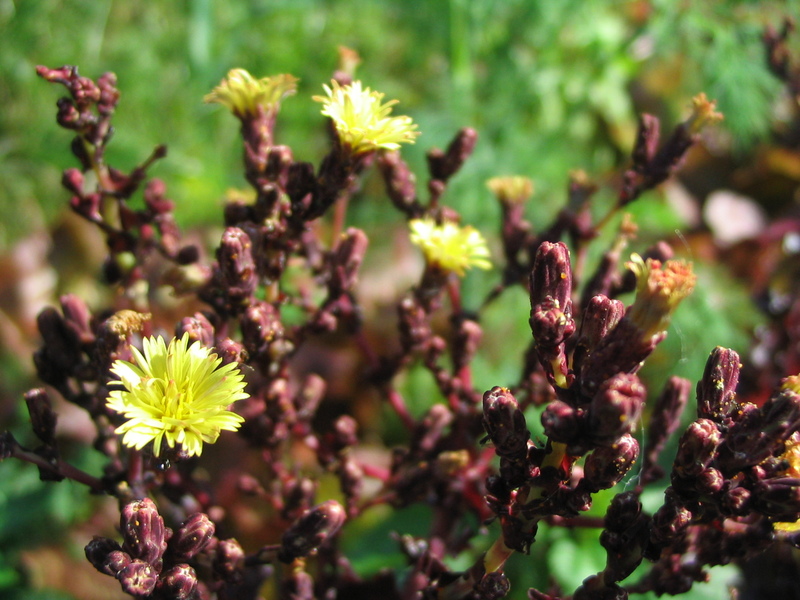 These little yellow puffs are the flowers of a red-leaf lettuce plant. It is rare that we leave lettuce in the ground long enough for it to flower, so I kind of enjoyed seeing this odd form for a change. 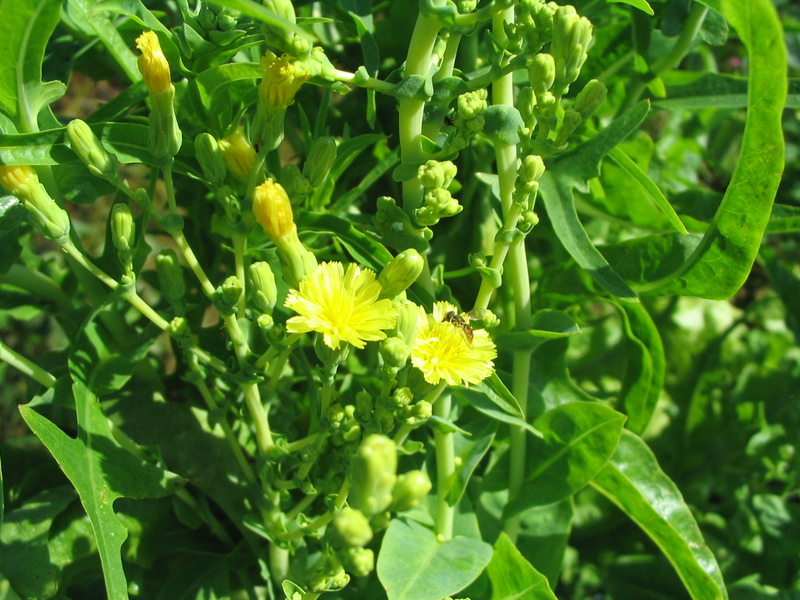 Here is a green oak leaf lettuce blooming. 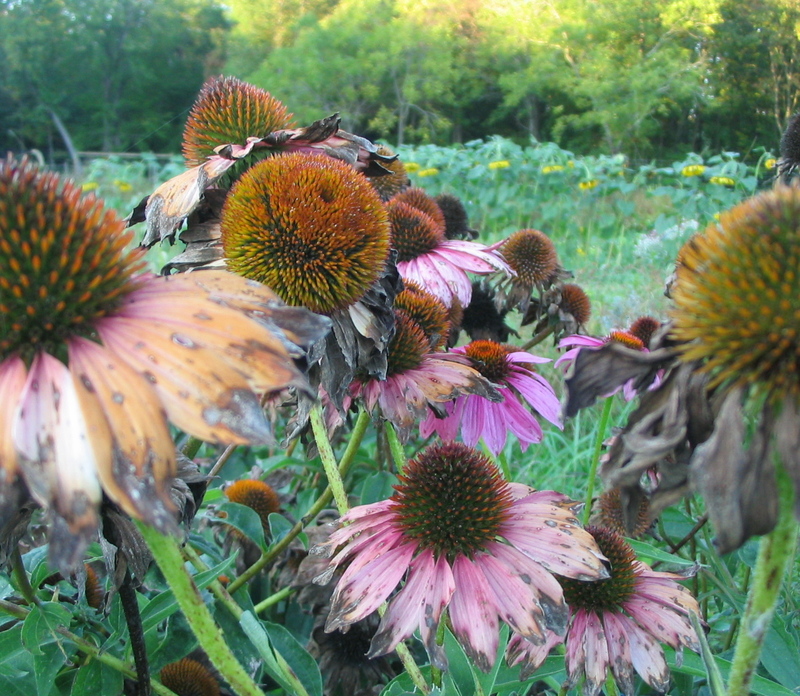 These coneflowers look similar to how I’ve been feeling lately: spent. We are ready for winter and a much needed rest… a change of pace and some extra time to work on building projects. Time to get rejuvenated for next season! We had a lot of cleanup to do this weekend: many things to pull out and mow down! 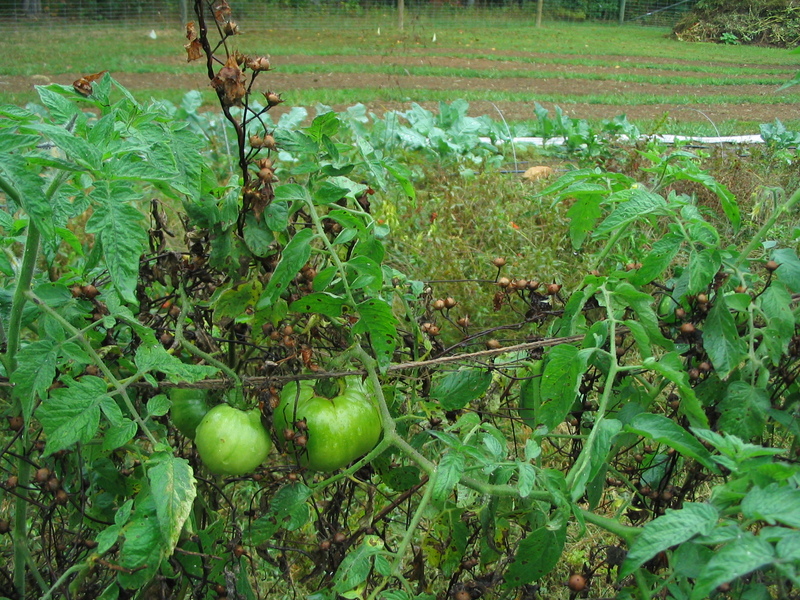 While most of the tomatoes are done at this point, some varieties are still putting on growth, so we will have a few trickling in until frost wipes them out. 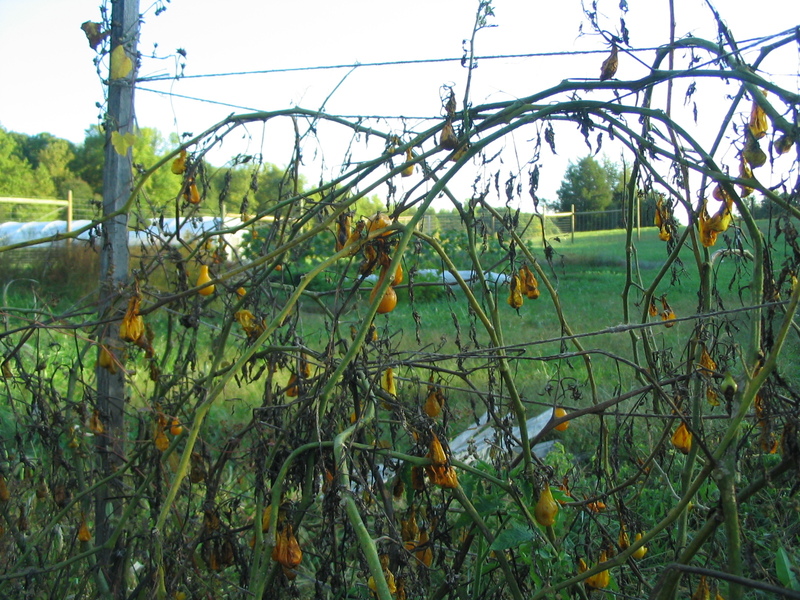 The garden was a real disaster area: we had our work cut out for us. After two days of taking vegetation to the compost pile, mowing, and tilling, the garden is mostly under control again. 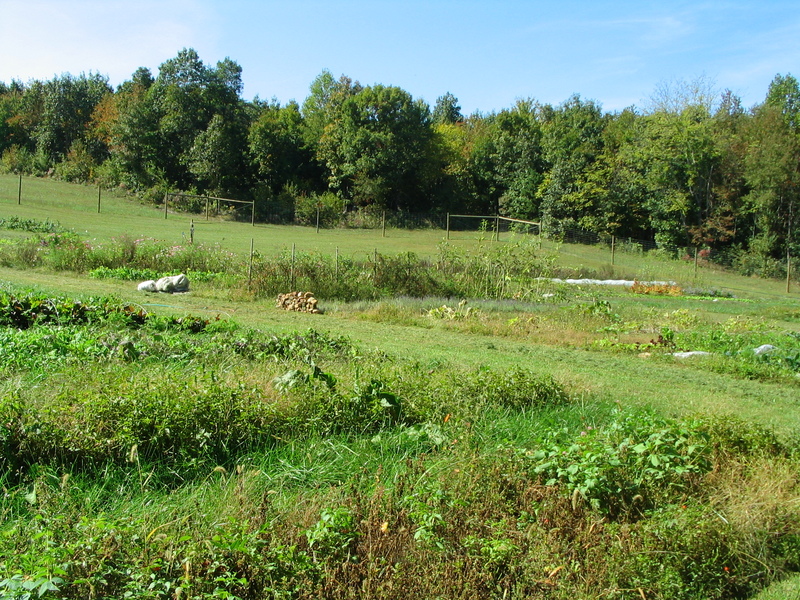 We put down several tractor buckets full of compost and were able to till up about a third of the garden and sow it to cover crops of barley and hairy vetch for the winter. We also got most of our late plantings done: several rows of biennial flowers that will hopefully bloom in the spring, and a long row of garlic. We had help from my Dad, who showed up unexpectedly and pitched in! 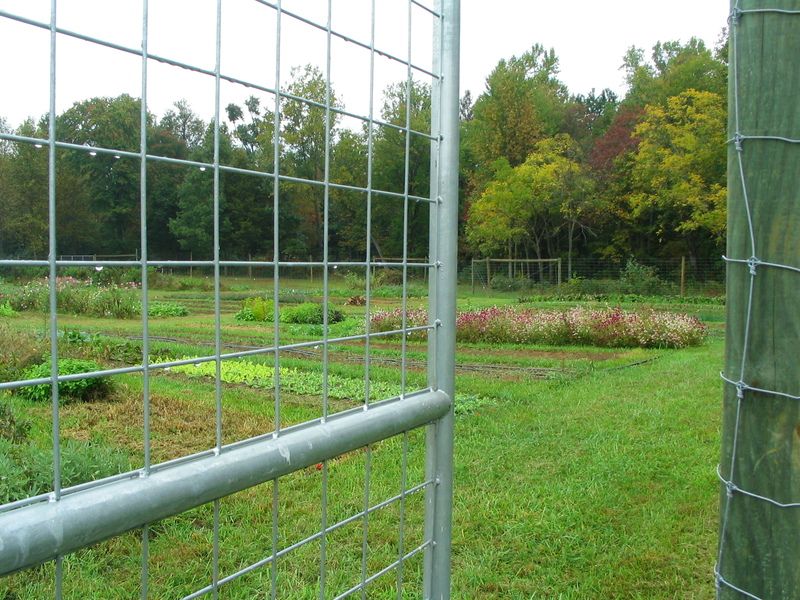 It is looking more barren out there, but there are still plenty of crops to harvest for the last three weeks of market! The farmscape is becoming more horizontal now. 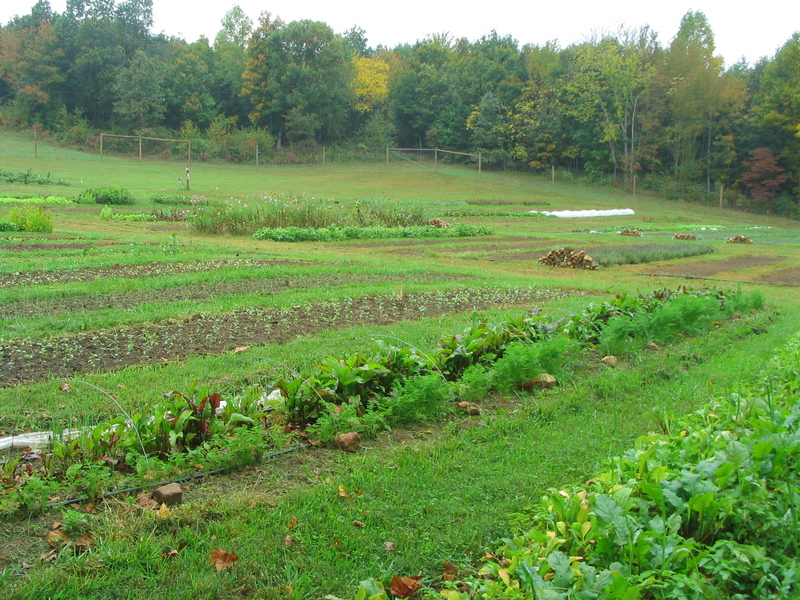 Today it rained, and watered-in our cover crop seeds!